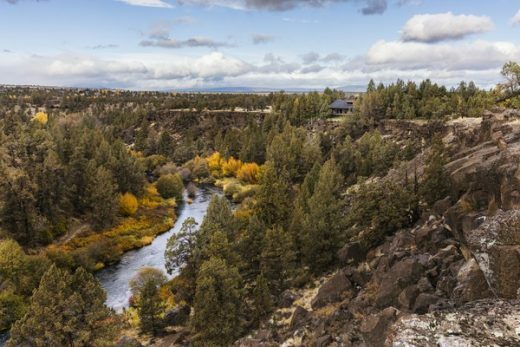 Situated on the edge of a canyon overlooking the Deschutes River, the existing ranch house lacked personality, unlike its charismatic owners. 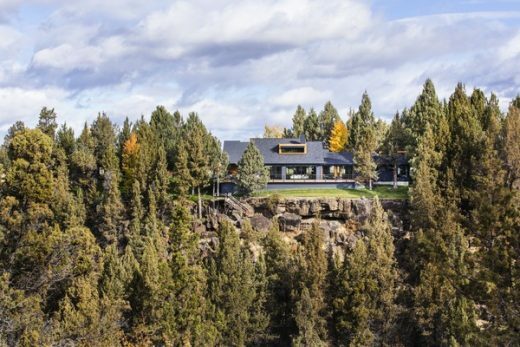 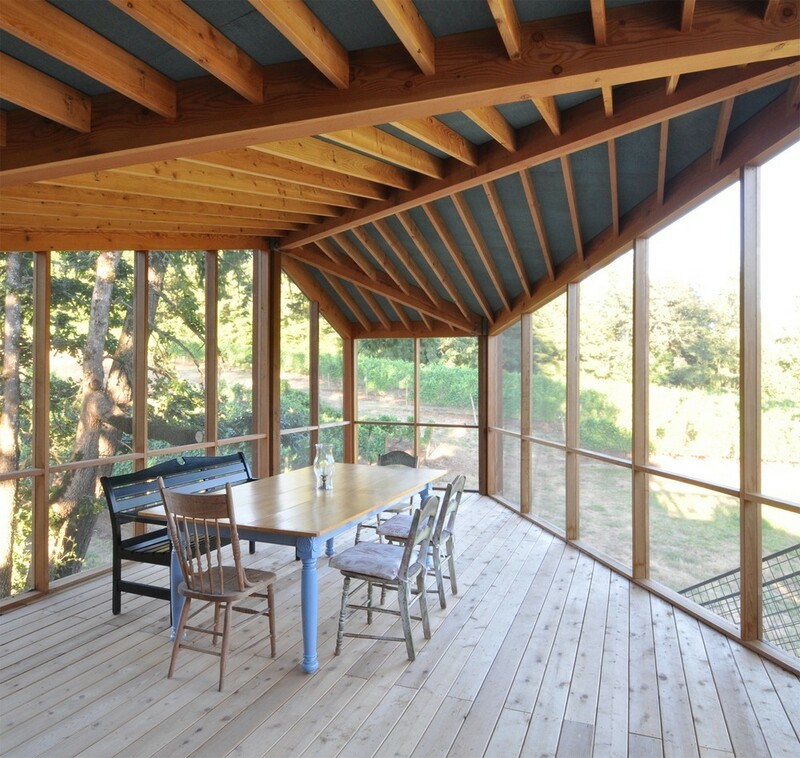 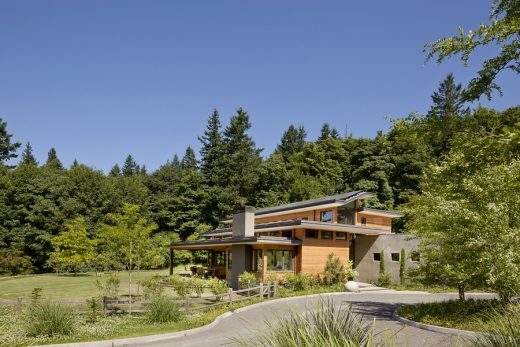 Three modern additions redefine the structure and create a more functional plan for the retired ranch owners. 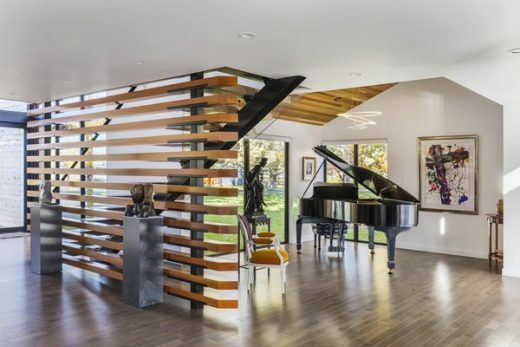 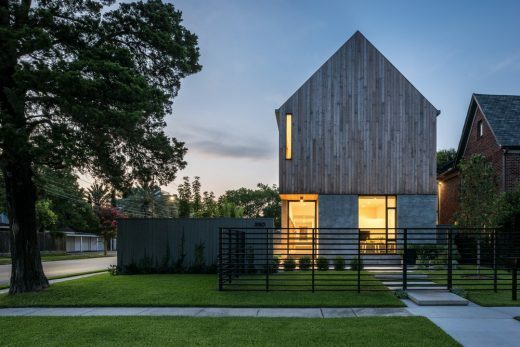 Doubling as a gallery, the new entry addition pierces the existing house and roof and emerges on the other side as a monitor, drawing in more light. 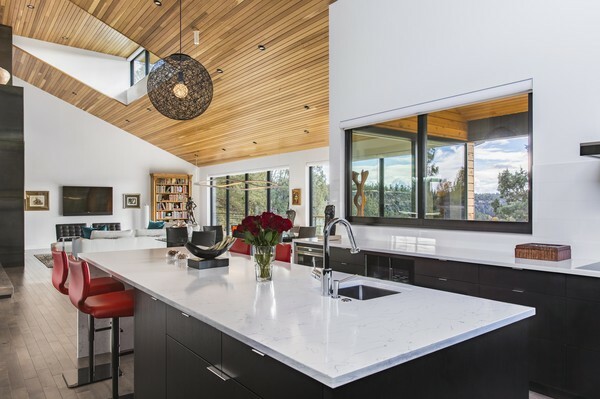 Several level changes that segmented the existing living spaces were realigned to unify the kitchen, dining, and living areas, and with the help of a small addition, more useful space for entertaining was created. 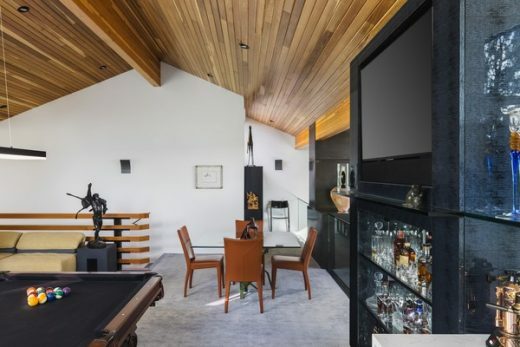 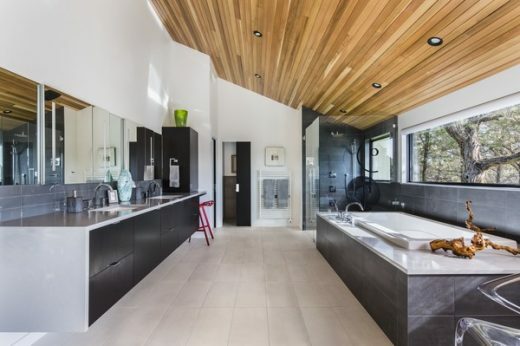 The master suite was also streamlined and expanded to make room for a fitness space previously located in the garage. 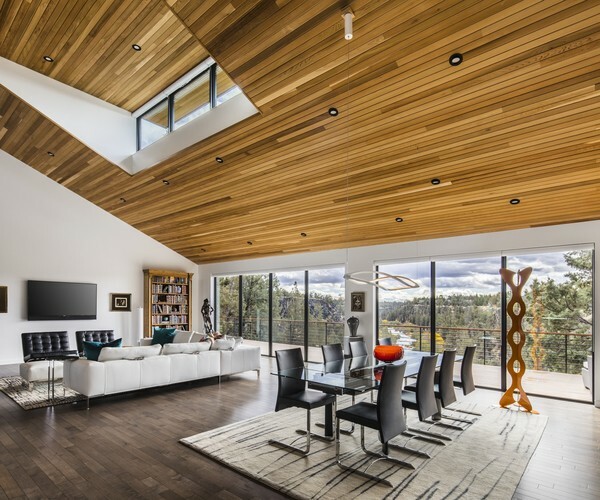 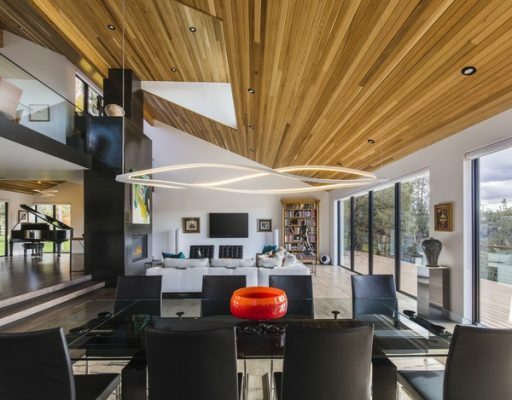 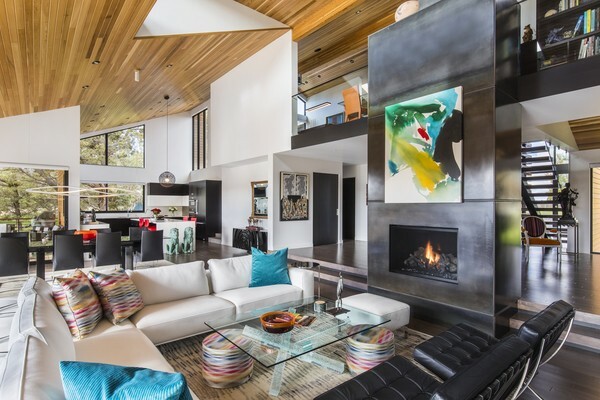 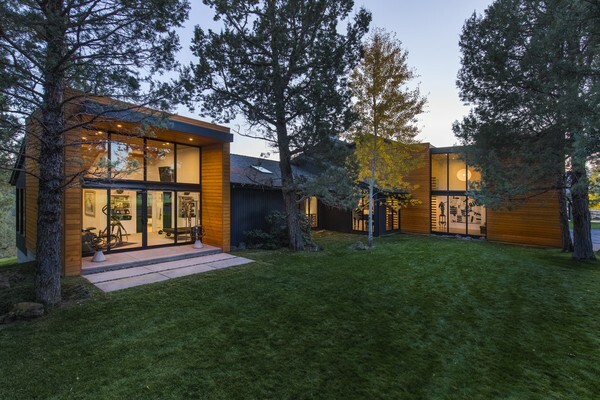 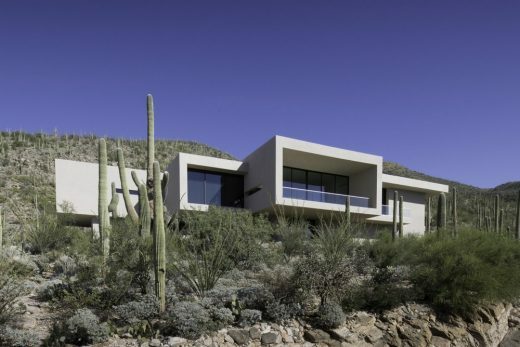 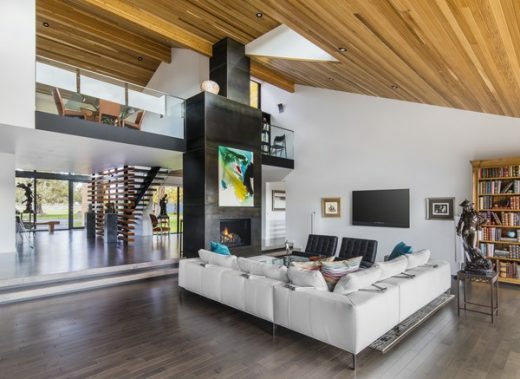 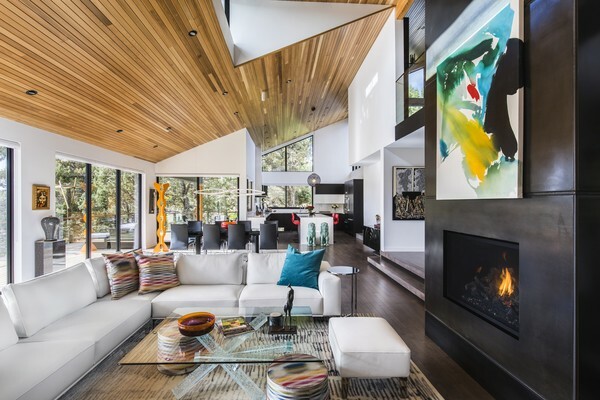 Glass walls open up the south facade to allow light deep into the space while maximizing views of the canyon below, and a minimalist interior allows the couple’s extensive art collection to be showcased throughout the home. 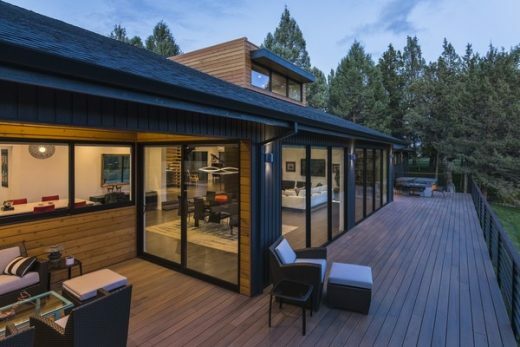 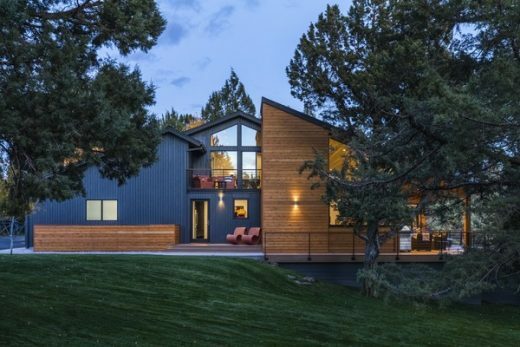 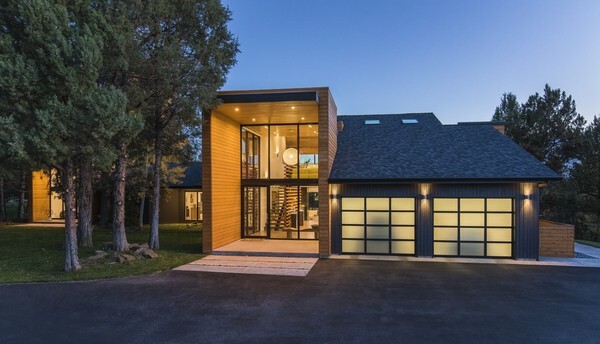 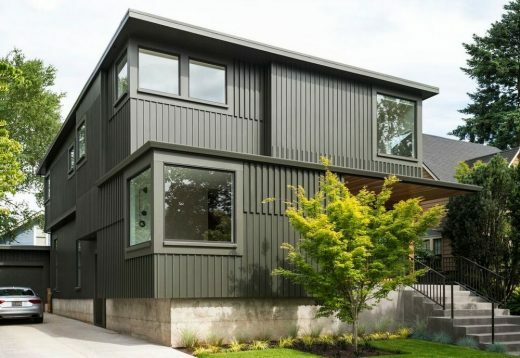 Dark vertical siding blends with the natural landscape while knotty, horizontal, cedar planks provide a bold but natural accent to the exterior façade.